The sugar or sweetener solution is not what preserves the fruits, so you have a number of options, from a heavy sugar solution, a fruit juice solution or an artificial sweetener solution. Fruits like peaches, nectarines, cherries, figs, etc. can be packed in very light, light or medium sugar syrup. They can also be packed in water, artificial sweetener and water, apple juice or white grape juice. Prepared this way, the jars have a shelf life of about a year, and aside from storing in a cool, dark place, require no special attention. Sugar helps canned fruit hold its shape, color and flavor but is not necessary to prevent spoilage. Fruits also can be packed in boiling hot water or fruit juice. See this discussion for more information! Processing method and time is the same for unsweetened and sweetened fruit. Any of the following solutions may be used to provide sweetness. * - the amount of solution you actually need will vary depending upon how juicy the fruit is. Note: If you want to use honey, see this page! Pick which type of syrup you want to make from the table above (choices 1 through 9). My own preference is number 5, fruit juice and Stevia (in a prepared form like Truvia, it measures same as sugar; if you use another form, you'll need do your own conversion) - or Splenda, if you prefer, - there is enough natural sugar present to keep the fruits color and flavor, and the Stevia (in a prepared form like Truvia, it measures same as sugar; if you use another form, you'll need do your own conversion) - or Splenda, if you prefer, keeps the calories down while maintaining the sweetness. If the fruit is really fresh and sweet, you don't even need the Stevia (in a prepared form like Truvia, it measures same as sugar; if you use another form, you'll need do your own conversion) - or Splenda, if you prefer, ; option 3 works best then! Mix sugar and / or sweetener with water or with fruit juice (which may be extracted from some of the fruit). Heat the sweetener solution until the sugar/Stevia (in a prepared form like Truvia, it measures same as sugar; if you use another form, you'll need do your own conversion) - or Splenda, if you prefer, dissolves; stirring. Lower the heat to keep the solution hot but not boiling. To Extract Juice. Thoroughly crush ripe, sound, juicy fruit. Heat to simmering (185 to 210 degrees F) over low heat. Strain through a jelly bag or other cloth. Of course, you may use another fruit juice instead. If so, choose one that does not have a strong flavor of its own, which would change the flavor of the canned fruit. Grape or Apple juice work well. Sugar mixed directly with fruit. Add 1/4 to 1/2 cup sugar to each quart of prepared fruit. Bring to a simmer over low heat. Pack fruit hot in the hot juice that cooks out. Artificial sweeteners. Add these to fruit canned in plain water just before serving. Saccharin-based sweeteners can turn bitter during processing. Aspartame-based sweeteners lose their sweetening power during heating, so they should not be used. 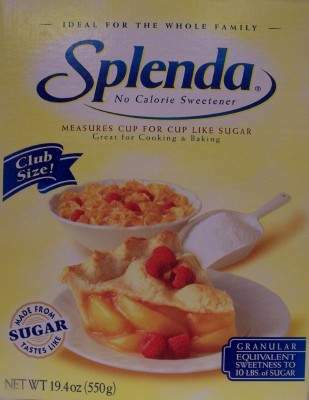 Stevia (in a prepared form like Truvia, it measures same as sugar; if you use another form, you'll need do your own conversion) - or Splenda, if you prefer, (sucralose) works best as it does not break down upon heating and doesn't turn bitter. Can you "can" without sugar? 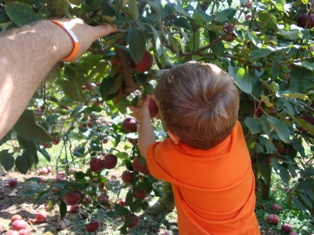 Recipes for canning fruit usually call for adding sugar or sugar syrup. While sugar helps hold the texture, shape and color of fruit, it is primarily added for flavor and visual appeal. It is not needed to prevent spoilage. You can safely can all fruits in water or in fruit juice by following reliable canning directions for preparing and processing the fruit. Substitute water or fruit juice for the syrup or sugar pack. Overripe fruit will soften excessively. Take special care to follow steps that prevent darkening of light-colored fruit. Several treatments may be used to prevent or retard darkening. One is to coat the fruit as it is cut with a solution of 1 teaspoon (3 g) crystalline ascorbic acid, Fruit Fresh, or 3,000 mg crushed vitamin C tablets per cup of water. Another is to drop the cut pieces in a solution of water and ascorbic acid, citric acid or lemon juice. Use 1 teaspoon (3,000 mg) ascorbic acid, 1 teaspoon citric acid or 3/4 cup lemon juice to 1 gallon water. An solution of ascorbic acid (commercially sold as "Fruit Fresh") and water serves as a good anti-darkening treatment, adds nutritive value in the form of vitamin C, and does not change the flavor of the fruit as lemon juice may do. Ascorbic acid is available in crystalline or tablet form in drug stores and supermarkets. Ascorbic acid mixtures, such as ascorbic acid combined with sugar or with citric acid and sugar, also are available. For these, follow the manufacturer's directions. In those pre-made mixtures, ascorbic acid usually is the important active ingredient. Of course, these may be more expensive than just buying pure ascorbic acid. If ascorbic acid products are not used in the pretreatment of cut fruit, they may be added to the canning juices or liquids before processing. This will help keep the fruit from darkening during storage. Use 1/4 to 1/2 teaspoon crystalline ascorbic acid or 750 to 1,500 mg of crushed vitamin C tablets per quart of fruit. Commercial ascorbic and citric acid mixtures such as "Fruit Fresh" or "ACM" also may be used according to manufacturer's directions. Juice made from the fruit being canned works well. To prepare, bring thoroughly ripe, crushed fruit to a simmer over low heat. Strain through a clean jelly bag or cloth. Or you can just buy bottled fruit juice from the grocery store. White grape juice works well with many fruit since it is naturally sweet and has a neutral flavor. Blends of unsweetened apple, pineapple and white grape juice also are good filling over solid fruit pieces. Honey or light-colored corn syrup may be substituted for up to half the sugar called for in a canning syrup recipe. However, these products do not reduce the calorie or carbohydrate content of the sugar syrup, and thus are not acceptable sugar replacements for people on diabetic diets. Substituting plain water for the sugar syrup reduces the calorie content of canned fruit by approximately 205, 280 or 375 calories per pint, assuming 2/3 cup of thin, medium or thick syrup, respectively, is replaced with water.